A packed house at the St James Theatre saw Andrew Lippa's London debut. For two hours and accompanied by a stellar cast of the capital's musical theatre talent, the New York composer (actually a Yorkshireman by birth) presented a collection of his showtunes. Lippa was quickly into a selection of songs from Big Fish that recently opened on Broadway. One of the show's finer compositions, I Don't Need A Roof, sung by a wife reflecting upon her near unconditional love for her dying husband, was given the most moving of interpretations by Jenna Russell. I reviewed Big Fish last month (link here) and commented then that it seemed unlikely to transfer to London and indeed it closes on Broadway in a few weeks. Up close however, the show's songs took on a beautiful resonance and seen in this more intimate setting, were a producer to consider a modestly sized off-West End or chamber production, it may well prove a hit. Willemijn Verkaik was masterfully elegant throughout with Big Fish’s Time Stops, a duet with Lippa, proving to be another of the evening's tender highlights. 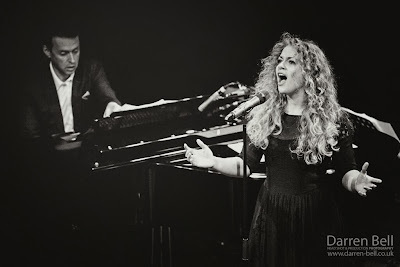 Earlier, when Verkaik had sung the line "it's my turn to fly" from The Wild Party's number The Life Of The Party, there was the sweetest of ironic presciences, as she was performing with Lippa only 24 hours before making her debut as Wicked-London's Elphaba. 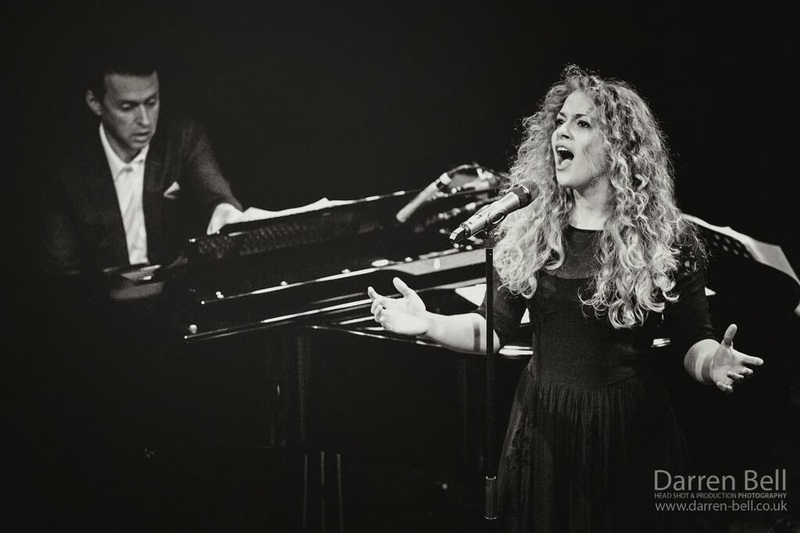 The stunning turn of the night was Carrie Hope Fletcher and her take on Pulled from The Addams Family. Injecting humour, presence and a vocal impact even bigger than her amazing hair, the young performer very nearly took the St James’ roof off. Other highlights included Ashleigh Gray's Live Out Loud, whilst a duet of Lippa and Tam Mutu in This River Between Us proved to be a masterclass in calm professionalism in retrieving a song when both performers dry. Lippa's patter throughout was witty and refreshingly self-deprecating as he referenced the number of his shows that have closed early over the years. His newly written You Are Here however, from I Am Harvey Milk, penned for a large male chorus and offered here as his solo, showed glimpses of what must be a truly inspiring number when sung by an ensemble. Simon Beck stepping in on piano as needed, with Hannah Ashenden's subtly elegant cello work gave a neat finish to an event that again demonstrated classy management from producers Stuart Matthew Price and James Yeoburn.